My family is a big fan of lasagna, I mean who isn’t? I have made many attempts at putting a little twist on the classic, and this one is no exception. 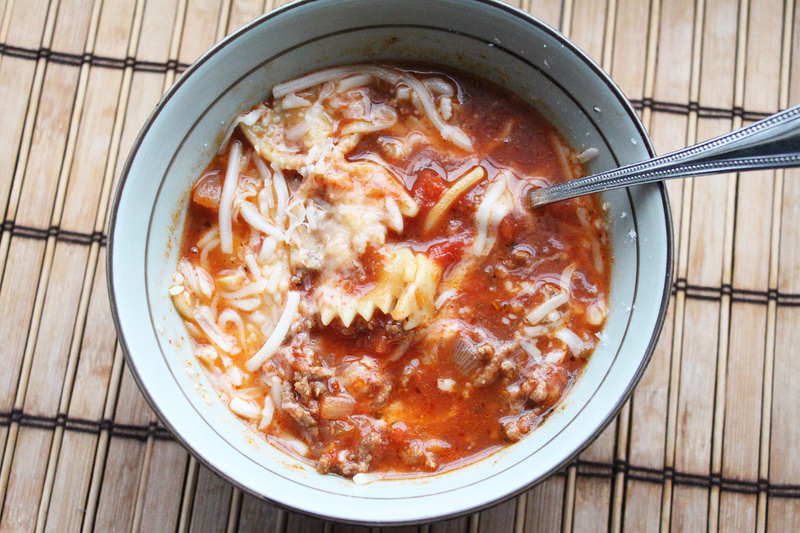 The temperature has dropped in Wisconsin, and we are settling in for the hibernation season, so I figured that I would come up with a soup, a lasagna soup at that. What I didn’t know is how much my family would love this recipe. I was a bit suspect on my kids eating it as they are not big soup eaters, but all I can say is that went up for seconds, two days in a row. Yep, it was that good. Start by getting a medium sized soup pot on the stove, and heat it to medium heat. Toss in the ground beef, and cook until browned, breaking it up along the way. Once cooked, strain and remove all of the fat. Return the ground beef back to the stove, and toss in the onion. Cook for about 5 minutes, then add in the salt, pepper, chili flakes, and Italian seasoning. Give a good stir, then toss in the garlic, and tomato paste. 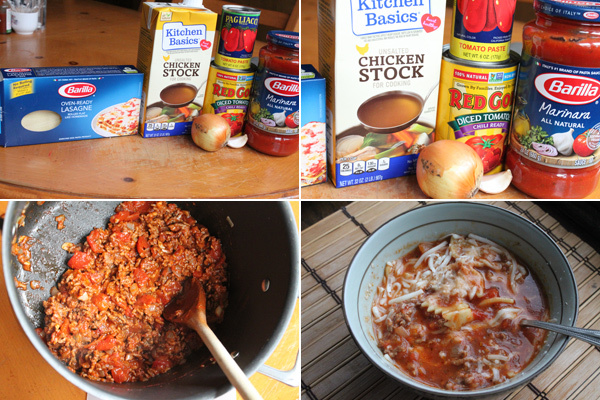 Cook the tomato paste for a couple of minutes, then add in the diced tomatoes, chicken stock, and marinara sauce. Give this another good stir, and bring to a gentle boil. Once boiled, reduce the heat to medium-low, then add in the broken pasta sheets. Cook for about 20 minutes or until the pasta is nice and tender. When you are ready to serve, ladle into your soup bowl, shower with parmesan and mozzarella cheese, and dig in. This is everything you love about lasagna, but in soup format, and what’s not to love about that! Hope you enjoy, and stay warm!